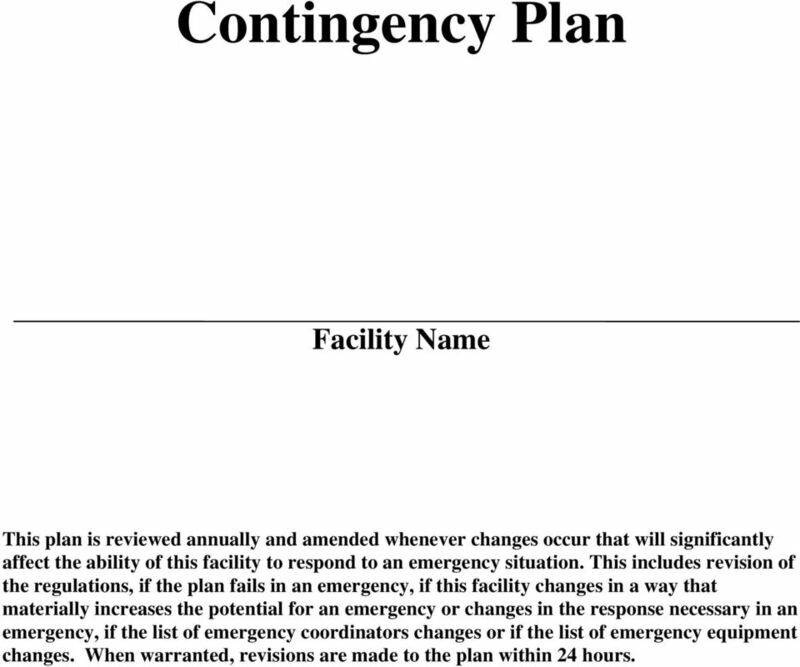 Download "Contingency Plan. 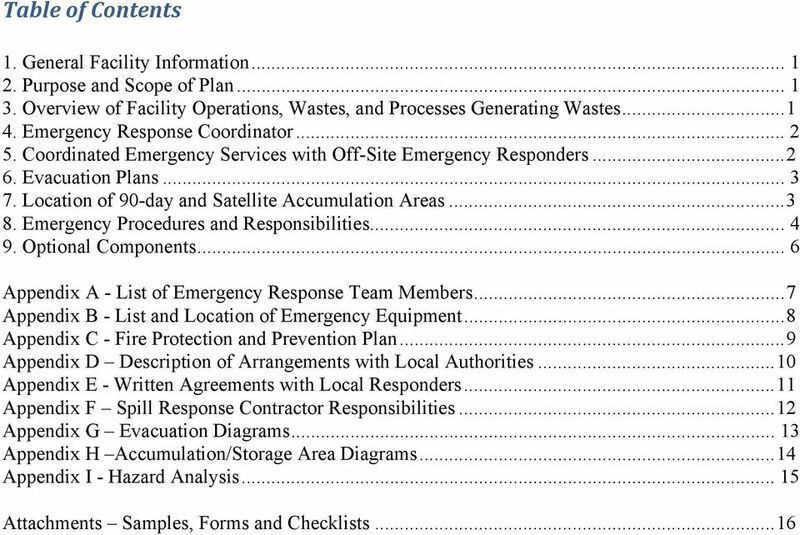 Facility Name"
1 Contingency Plan Facility Name This plan is reviewed annually and amended whenever changes occur that will significantly affect the ability of this facility to respond to an emergency situation. 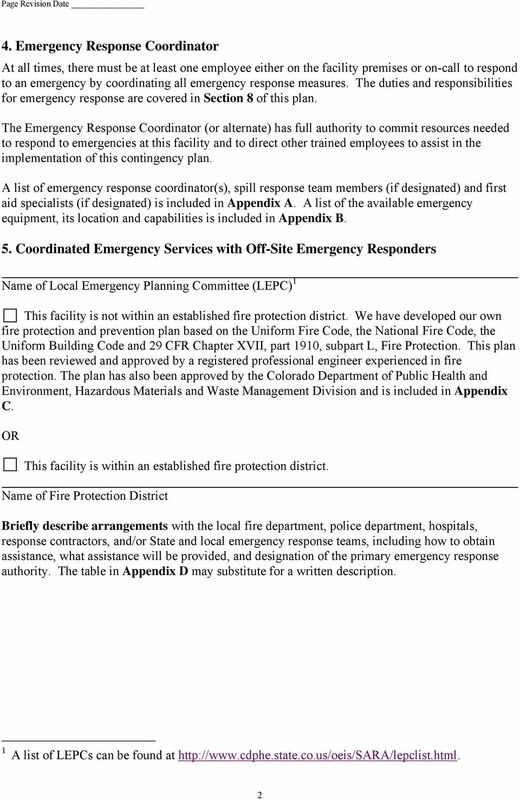 This includes revision of the regulations, if the plan fails in an emergency, if this facility changes in a way that materially increases the potential for an emergency or changes in the response necessary in an emergency, if the list of emergency coordinators changes or if the list of emergency equipment changes. 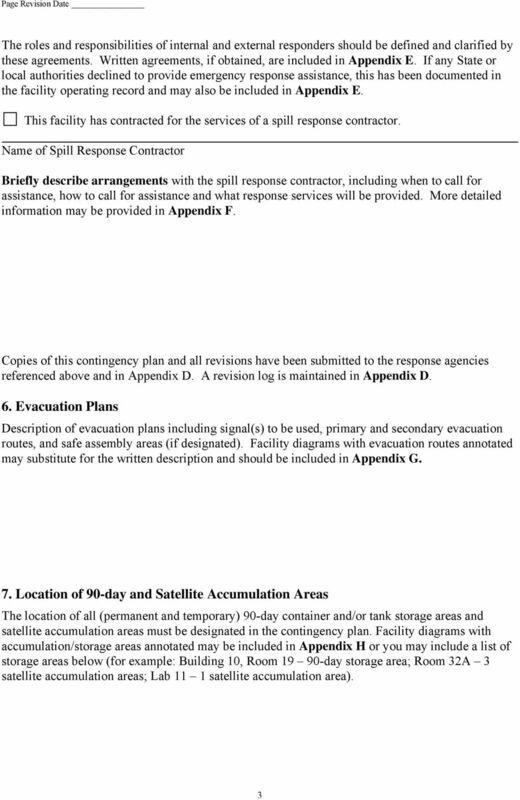 When warranted, revisions are made to the plan within 24 hours. 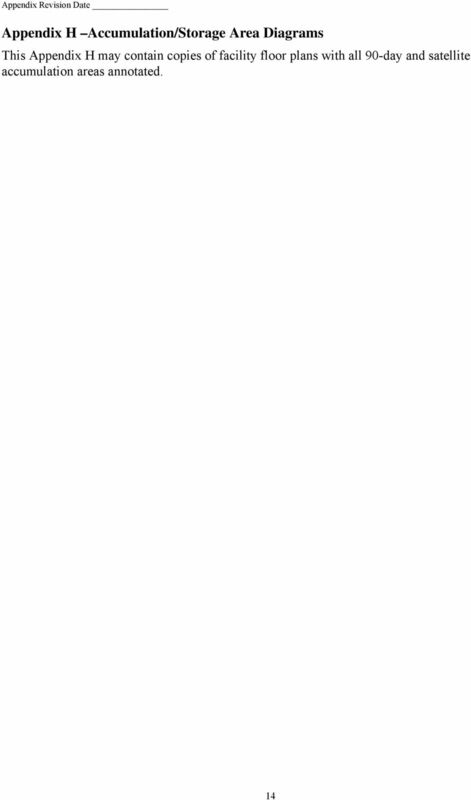 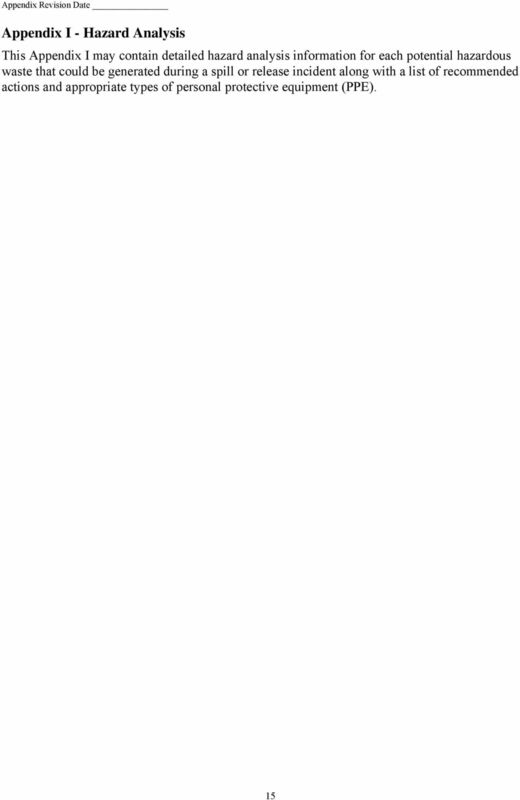 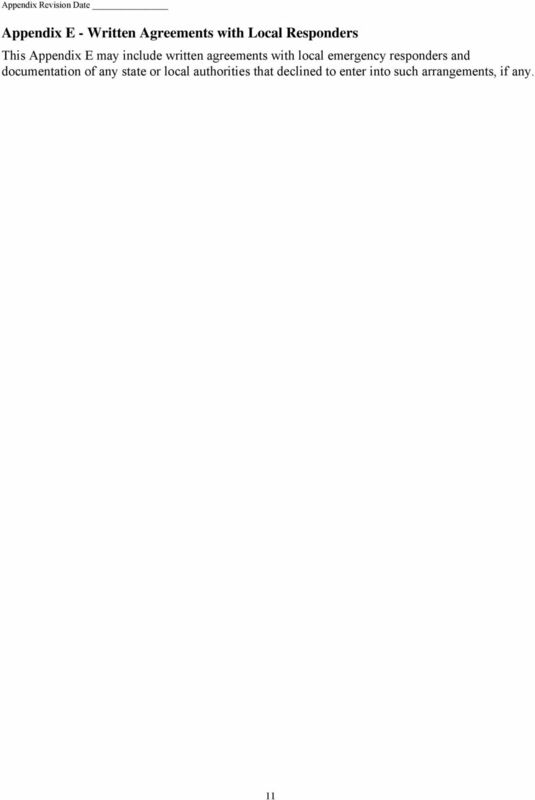 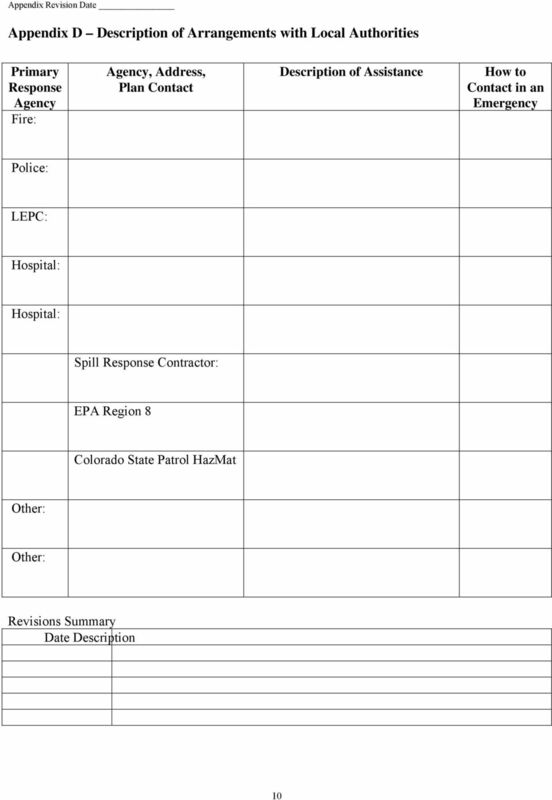 19 Example Letters Describing Arrangements with Local Authorities 6 CCR , section (c), (a), (b) and (a) &265.37(a) You are required to document that you have made agreements with the agencies that will respond to your facility in the event of an emergency. 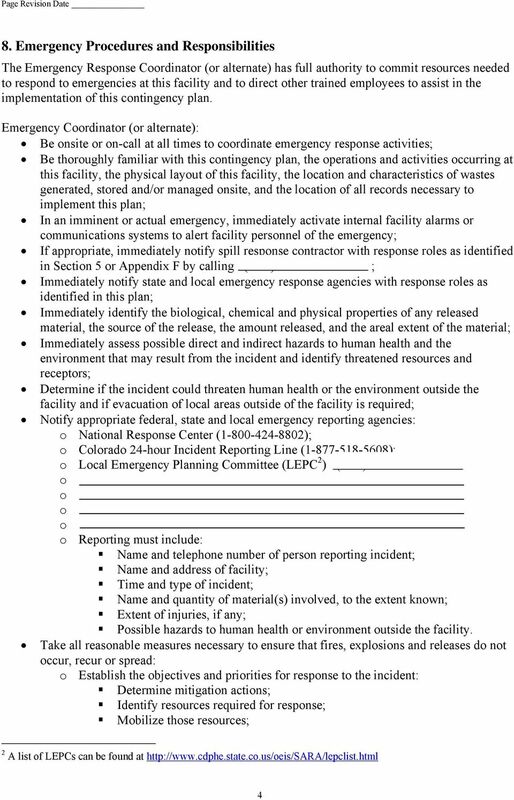 This includes hospitals, fire, police or sheriff, and other agencies that would be involved in a response. 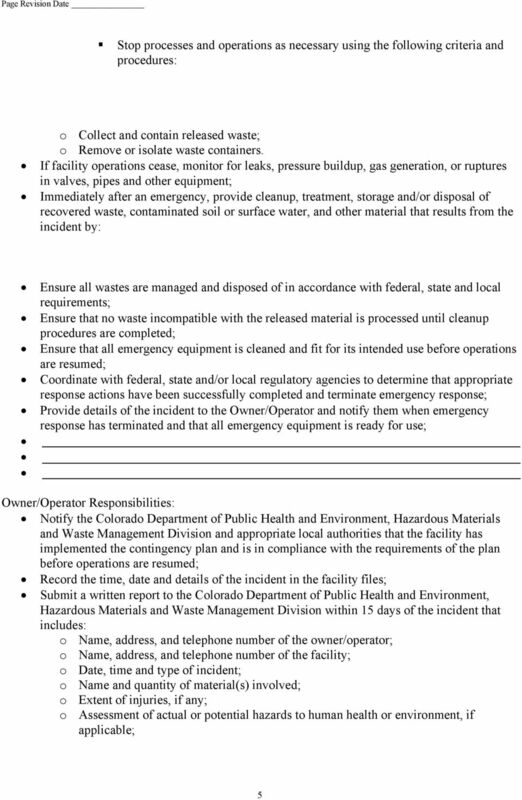 The Hazardous Materials and Waste Management Division (the Division) has found during inspections that many facilities do not have adequate arrangements or agreements with local emergency agencies as required by 6 CCR , section (c). The following example letters are for your use. 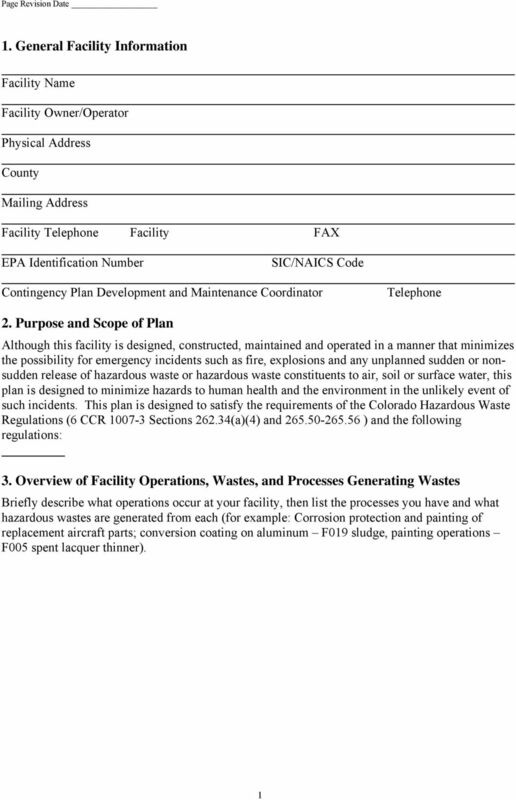 These letters must be customized to meet your particular facility s needs. 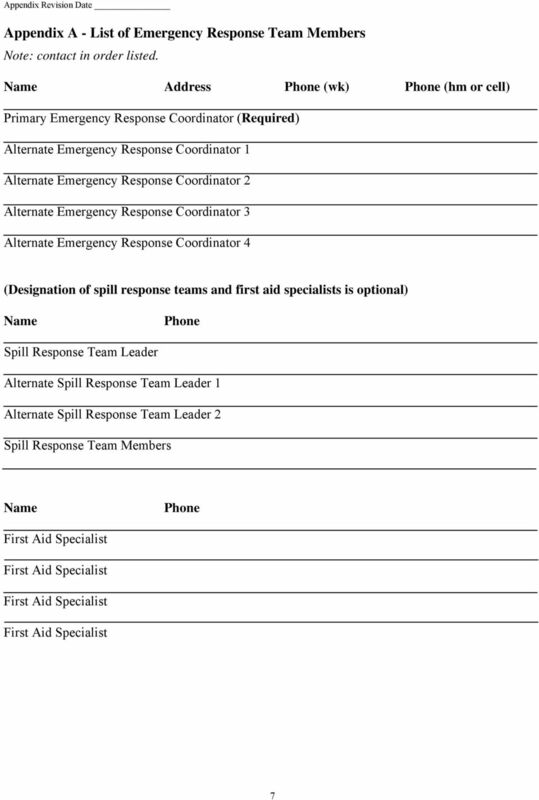 Sample Emergency Agreement Letters A. 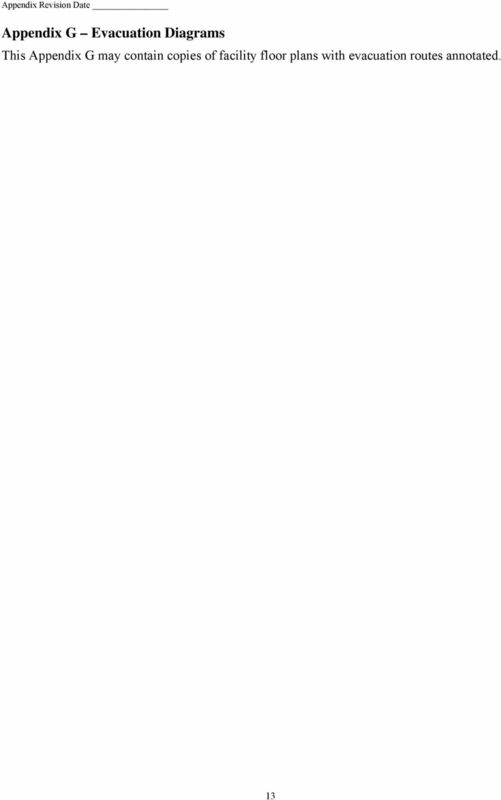 Hospital B. 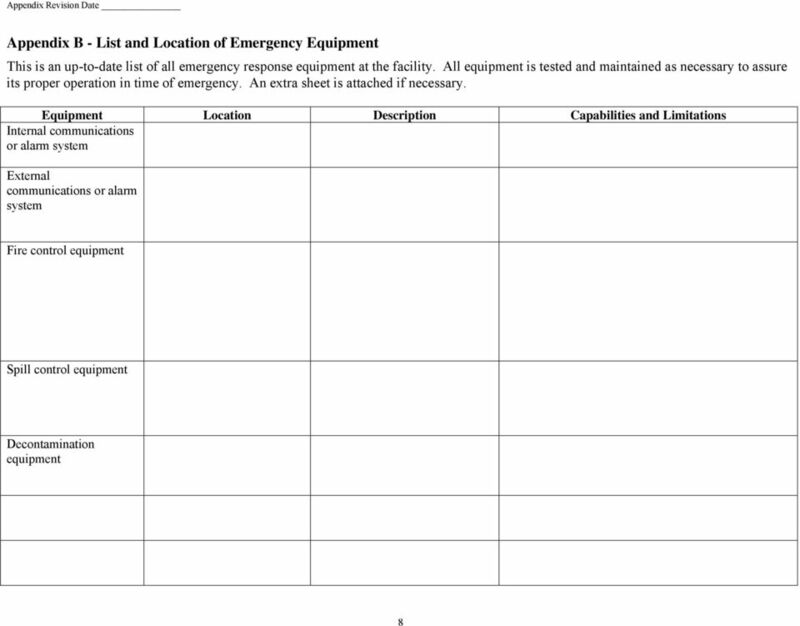 Fire Department C. Police D. Local Health Department E. Emergency Authority to the Facility. 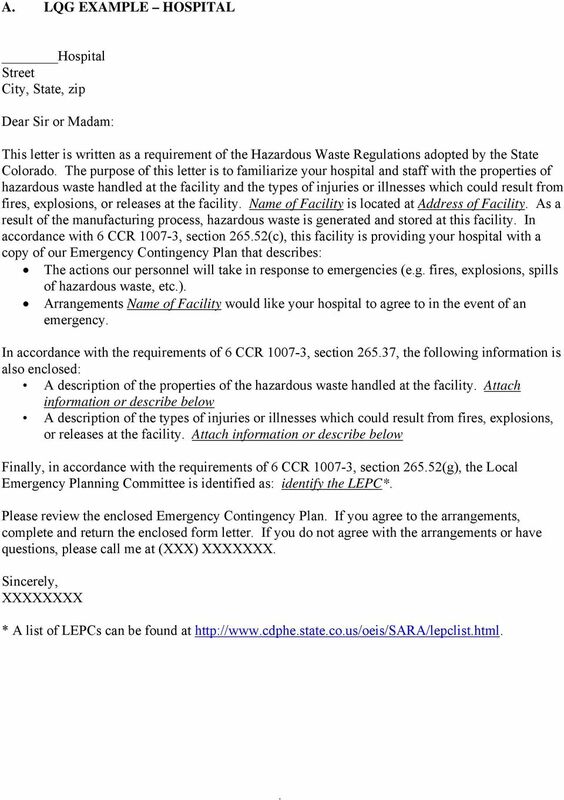 24 E. LQG EXAMPLE Response Letter from Emergency Authority to Facility Facility Street City, State, zip Attention: XXXX, Primary Emergency Coordinator Subject: Arrangements Response and Contingency Plan Dear XXXX: I have received the Emergency Contingency Plan submitted by Name of Facility to this office concerning hazardous waste generated and stored at your facility. 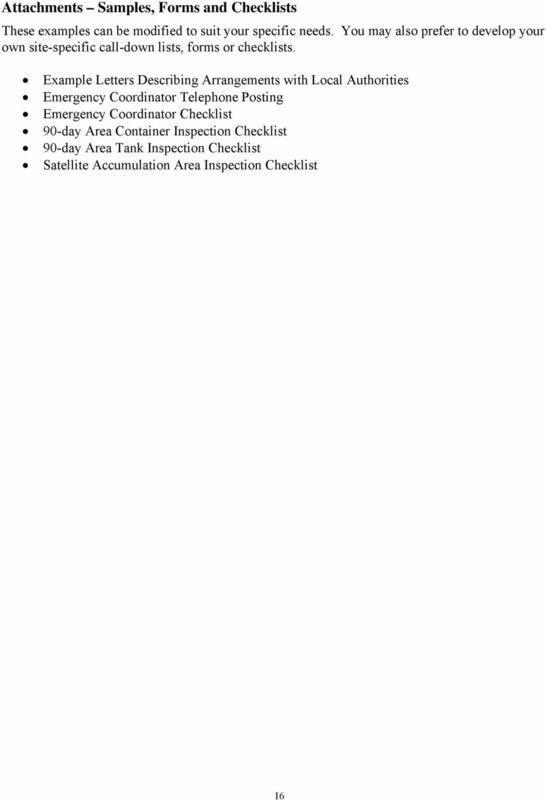 Our agency agrees to, and is ready to provide services indicated in this plan. 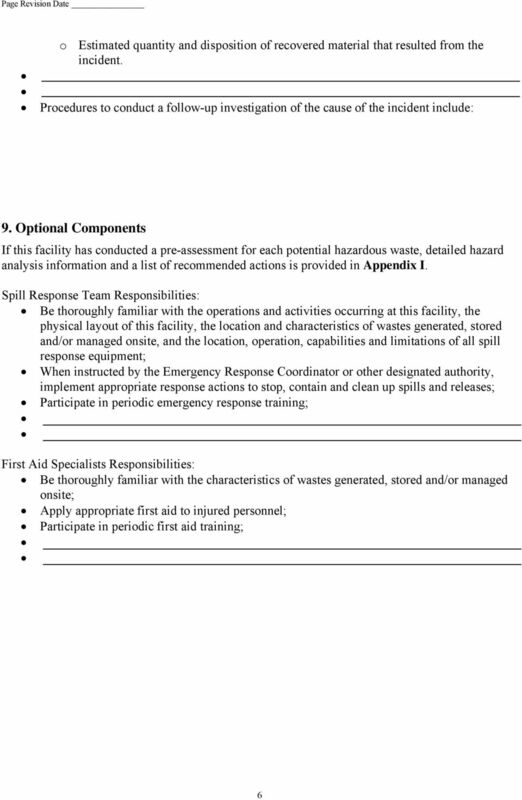 I am also aware of the types of hazardous wastes generated and stored at the facility and the possible hazards associated with such materials, as described in the contingency plan. 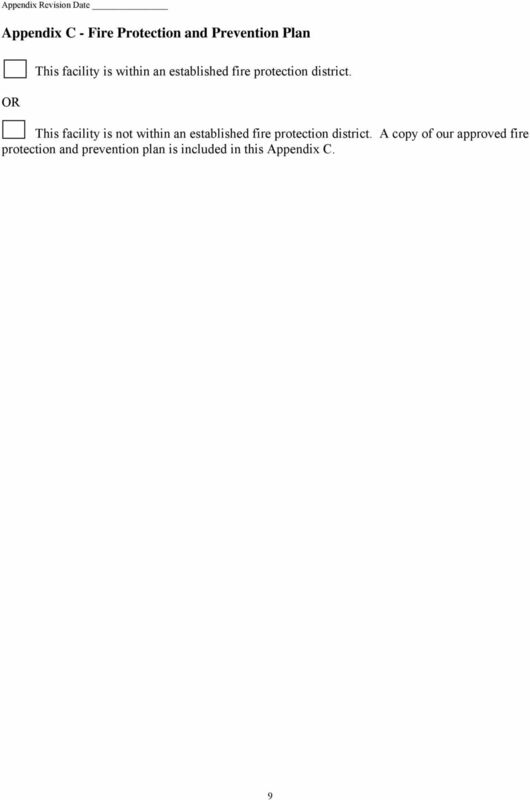 Sincerely, Your name Your agency or authority.